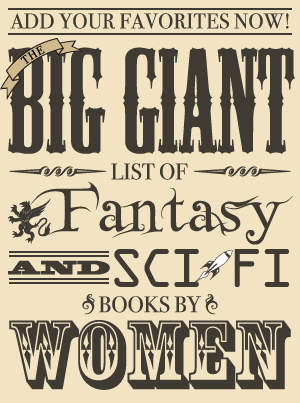 I am delighted that Tia Nevitt, who used to run Fantasy Debut and now keeps a blog with reviews and writing discussions on her website, has a new book coming out! 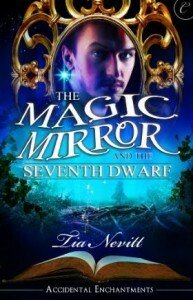 The Magic Mirror and the Seventh Dwarf will be available in ebook format on February 18. Even though it is the second Accidental Enchantments book, it is a stand alone story. The first book, The Sevenfold Spell, is a retelling of Sleeping Beauty. Of course, this one is based on Snow White and the Seven Dwarfs. I have much fondness for retold fairy tales so I’m quite interested in reading this one! Book two in Accidental Enchantments. Prince Richard is cursed. Enslaved to a magic mirror, he must truthfully answer the evil queen when she uses it to call on him. To keep from betraying innocents, Richard wanders the countryside and avoids people. All her life, Gretchen has been teased for being small. When she hears of a hidden farm populated by little people like her, she sets out to find it—and is welcomed by the mostly male inhabitants. Lars in particular woos her with his gentle kindness and quiet strength. Danger looms when Gretchen meets a runaway princess and offers her shelter at the Little Farm. Wandering nearby, Richard instantly falls in love with the beautiful princess, and is later compelled to tell the queen that she is not the fairest of them all. Enraged, the queen vows to find them and destroy them. For another fairy tale retelling from Tia Nevitt, check out The Sevenfold Spell, available now! 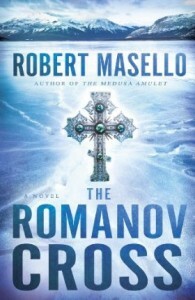 The Romanov Cross will be released in hardcover and ebook on March 5, 2013. An excerpt is available on the publisher’s website. Thrillers aren’t my usual reading fare, but I am a bit intrigued by this one since it has a supernatural twist and ties in with the history of Rasputin.